IntelÂ® Optaneâ„¢ technology provides an unparalleled combination of high throughput, low latency, high quality of service, and high endurance.1 Check out the video to see how new computer architectures are unleashing unprecedented possibilities from data center to desktop. 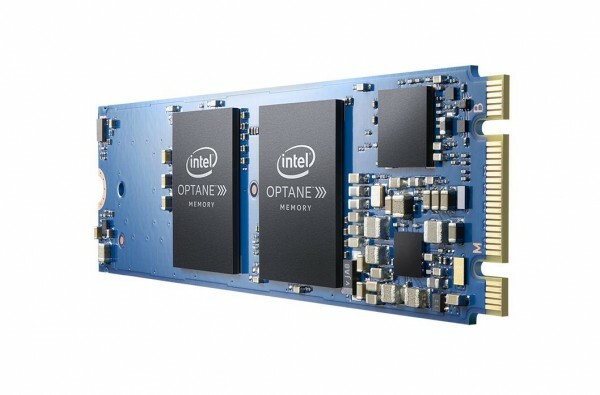 This technology is a unique combination of 3D XPointâ„¢ memory media, Intel Memory and Storage Controllers, Intel Interconnect IP and IntelÂ® software. Together these building blocks deliver a revolutionary leap forward in decreasing latency and accelerating systems for workloads demanding large capacity and fast storage. From system acceleration and fast caching to storage and memory expansion, new possibilities and insights are here. Weâ€™re driving fundamental change in computer architecture for consumers, business, and data centers around the world. Itâ€™s technology that drives innovation and experiences. Retailers might more quickly identify fraud detection patterns. Financial institutions may speed trading. Healthcare researchers could work with even larger data sets in real-time. And at home, IntelÂ® Optaneâ„¢ technology can optimize PC experiences from interactive social media to immersive gaming. IntelÂ® Optaneâ„¢ memory is a smart, adaptable system accelerator for PCs with a 7th Gen IntelÂ® Coreâ„¢ processor and a hard disk drive. It provides uncompromising system responsiveness for large capacity storage drives, making everything you do fast, smooth and easy. The University of Pisa uses IntelÂ® Optaneâ„¢ SSDs as memory to reduce MRI exam times from forty minutes to two!